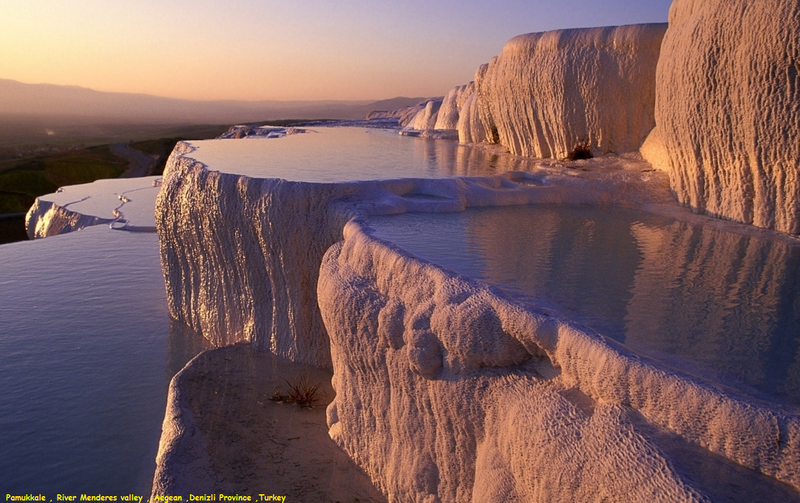 Pamukkale, meaning "cotton castle" in Turkish, is a natural site in Denizli Province in southwestern Turkey. 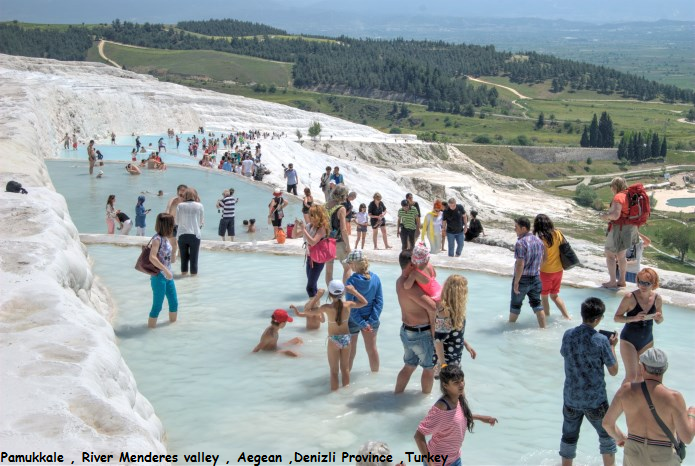 The area is famous for its hot springs and enormous white terraces of travertine, a carbonate mineral left by the flowing water. It is located in Turkey's Inner Aegean region, in the River Menderes valley, which has a temperate climate for most of the year. The ancient Greco-Roman city of Hierapolis was built on top of the white "castle" which is in total about 2,700 metres (8,860 ft) long, 600 m (1,970 ft) wide and 160 m (525 ft) high. It can be seen from the hills on the opposite side of the valley in the town of Denizli, 20 km away.